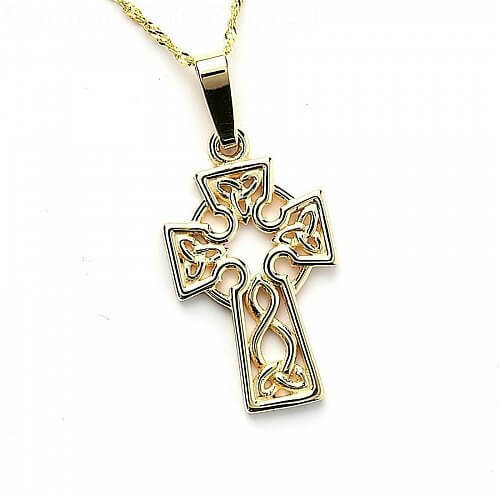 This modernized variation of the classic Celtic cross is a piece cast in gold, and shaped in the graceful and intricate weave of the Trinity knot. 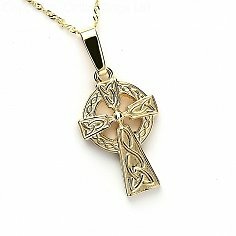 This ancient symbol has become a long time popular design in Ireland. 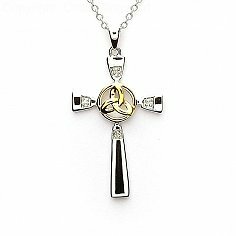 The ever entwining figure that composes the body of the golden frame of the cross. The Trinity knots are a fine example of modern craft work, hanging delicately from a simple and modest chain of gold.